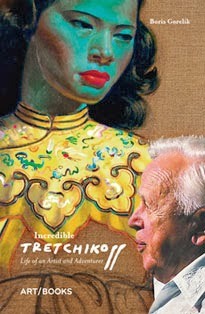 On Friday, 29th November 2013, Vladimir Tretchikoff’s iconic painting Chinese Girl will be unveiled at Delaire Graff Estate in Stellenbosch. Tretchikoff's best-known work and the most famous painting in the history of South African art was acquired by Chairman of Graff Diamonds, Laurence Graff OBE in March 2013. The sale was handled by Bonhams, London. Graff's company is said to have handled more diamonds of notable rarity and beauty than any other jeweller. The unveiling of Chinese Girl will be marked by a special fund-raising event in support of Graff Diamonds’ charitable foundation For Africa’s Children Every Time (FACET), which aims to support the education, health and well-being of the people of sub-Saharan Africa. Guests will be treated to insights from leading Tretchikoff experts; Boris Gorelik (writer, historian and author of Incredible Tretchikoff, the first complete biography of the artist), Riason Naidoo (Director: Iziko Art Collections South African National Gallery & Old Town House) and Stephan Welz (Managing Director at Strauss & Co) followed by a delicious four course menu accompanied by Delaire Graff wine pairings and a charity auction. All proceeds raised at the unveiling will be used to support FACET’s three charitable initiatives in Lesotho, Botswana and the winelands of Stellenbosch. Delaire Graff Estate is one of South Africa’s finest vineyards and was acquired by Laurence Graff in 2003. A state of the art winery and restaurant opened in 2009 followed by its lodges and spa in May 2010. The Estate is now considered to be one of South Africa’s leading luxury destinations, winning accolades for its wine, food, design and accommodation. Chinese Girl was one of the world’s best-selling prints of the fifties and sixties. 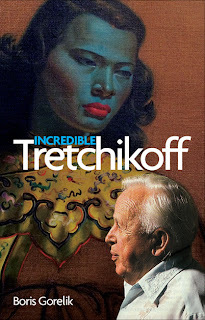 Tretchikoff claimed to have sold over half a million large format reproductions of the print. Thanks for your comment. I don't quite understand what Tretchikoff has to do with charity but, if you think my blog would appeal to your audience, let's talk.